What is the future for propulsion technologies of Fighter Jets? Here is one of the two immediate sightings of UFOs recorded by F/A-18 Hornet’s Advanced Targeting Forward Looking Infrared (ATFLIR) targeting pods. We often wonder when we hear of 6th generation planes that are being developed by USA, Russia, and China as to where all this will lead us. Which way are we going when we talk of aerospace vehicles flying at supersonic speeds? What is the end of all this – the ultimate vehicle? If not ultimate, at least a revolutionary new technology – the kind of which aircraft itself was when Wright brothers showed that man can actually fly like birds. Pentagon’s Advanced Aerospace Weapon System Applications (AAWSA) programme – which might still be going – tried to find the answers to this. Under the programme, a team of about 50 scientists, analysts and investigators were assembled. It aimed at developing breakthrough technologies and specified 12 points including the lift, propulsion, materials, types of stealth as well as human interface and effects on human beings. 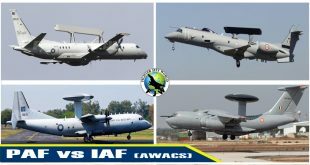 AAWSA, in turn, was born off Spy Agency, Department of Defence’s Advanced Aviation Threat Identification Programme (AATIP), when two very strange and well-documented sightings of strange aircraft (might be UFOs) operating in US airspace were reported around 2004. Defence Intelligence Agency got interested in subjects that border on science fiction including warp-drive, extra-dimensional manipulation, dark energy and other highly exotic forms of space travel. So two studies were carried out under AAWSA. 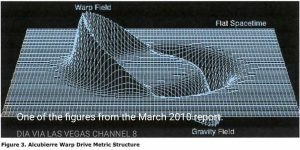 The first study published on March 29, 2010, deals with ‘advanced space propulsion’ for faster than light travel, discussing theoretical constructs like ‘space-time altered regions’ and ‘gravity/antigravity’ forces. The second study published on April 2, 2010, deals with similar constructs. but also includes discussions about ‘dark energy’ and ‘extra dimensions’. These are quite exciting and revolutionary ideas at the beginning of the 21st century that in future we may be able to develop technologies that will interact with these higher dimensions.